Feliz Aniversario Sweetie. I Love You! Lovely picture.Happy Birthday to Carlos.Best Wishes from NZ. Happy Anniversary Gert & Carlos... Absolutely beautiful picture - LOVE IT! Happy Anniversary Gert & Carlos..it's so sweet and touched!! Happy Birthday to Carlos. May both of you 'pak tau tou lou' with happiness and joy every other day. Happy anniversary, dear Carlos and Gertrude. May you find more love and happiness as you journey into life together. Happy Anniversary Gert and Carlos! 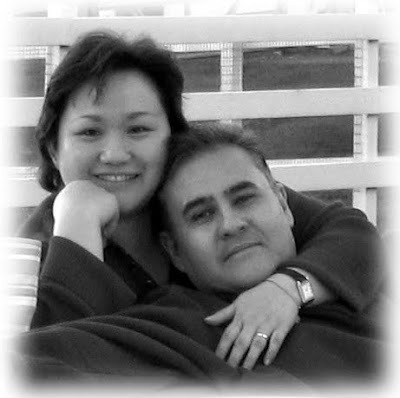 Gert & Carlos, Happy Anniversary! Beautiful pic. Thank you everyone for your well wishes.